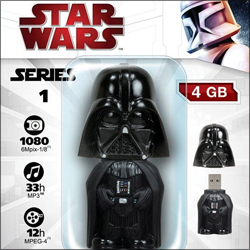 #1 Stop in the Galaxy for the hottest Star Wars items! Star Wars Clothing, Decorations, Games, DVDs, and much more! 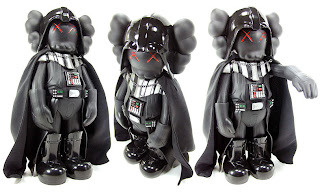 Kaws Darth Vader is a "Japanimized" action figure type toy that is 33% Dark Side, 33% Drunken Pirate, and 33% Anime. That is, when Luke Skywalker unmasked his father, he would have seen a skull and crossbones staring back at him. Kaws Darth Vader toys were selling for $150 at Kaws' Original Fake Store in Tokyo, Japan. Personally, this is probably my favorite Star Wars collectible action figure. It looks totally badass in an "I'm going to dismember you with my shiny crimson-bladed lightsaber" kind of way yet cute in an "awe look at the wittle puppy" kind of way at the same time. You can get a lot of Star Wars junk that is really wierd I guess. I liked the movies but other than that I am not too deep with the memrobilia. I write Movie Reviews.